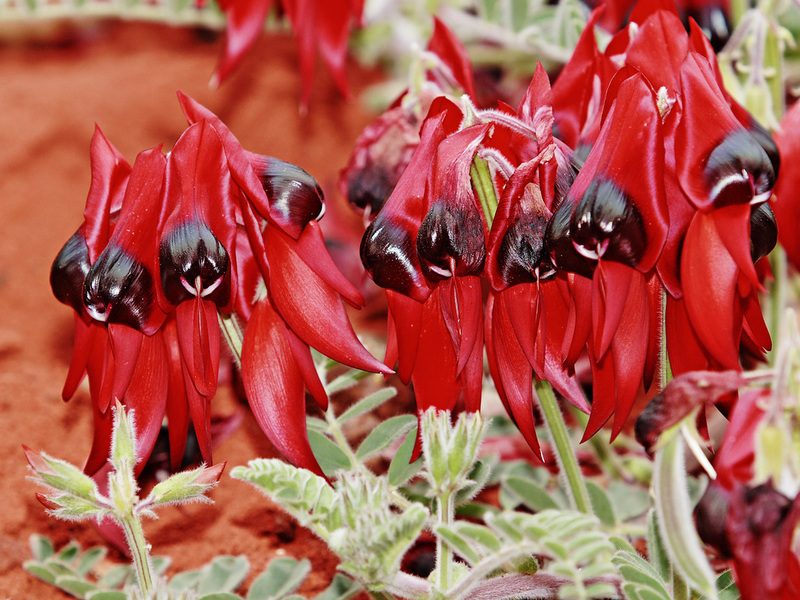 Look in the right places and you will find the unmistakable Sturt's desert pea. 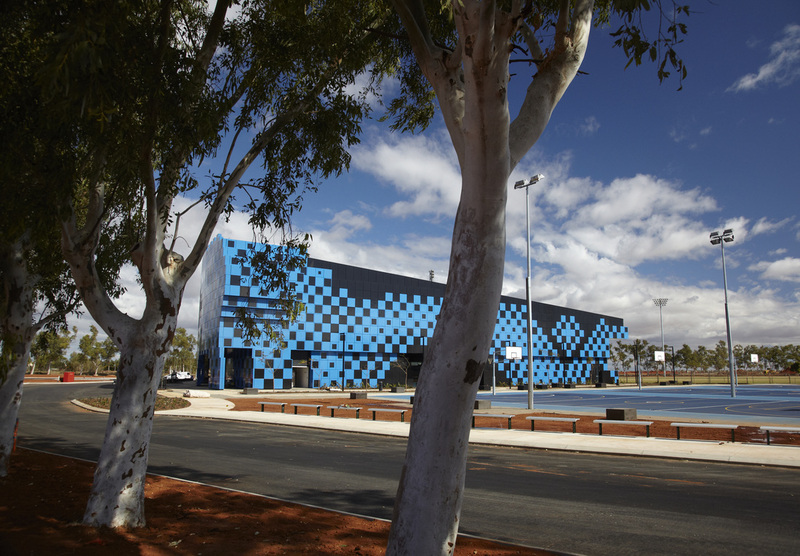 Wanangkura Stadium is Port Hedland new multi‐purpose recreational centre. The name for the centre was chosen from hundreds of local submissions and means ‘whirlwind’ in the local Kariyarra language. The pixelated facade represents a mirage in the flat landscape. 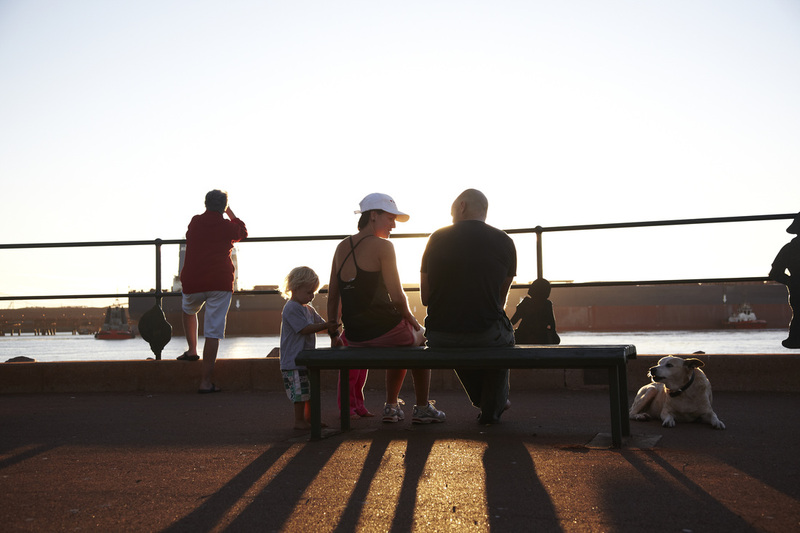 Port Hedland sunsets over the ocean, a relaxing way to finish the day. 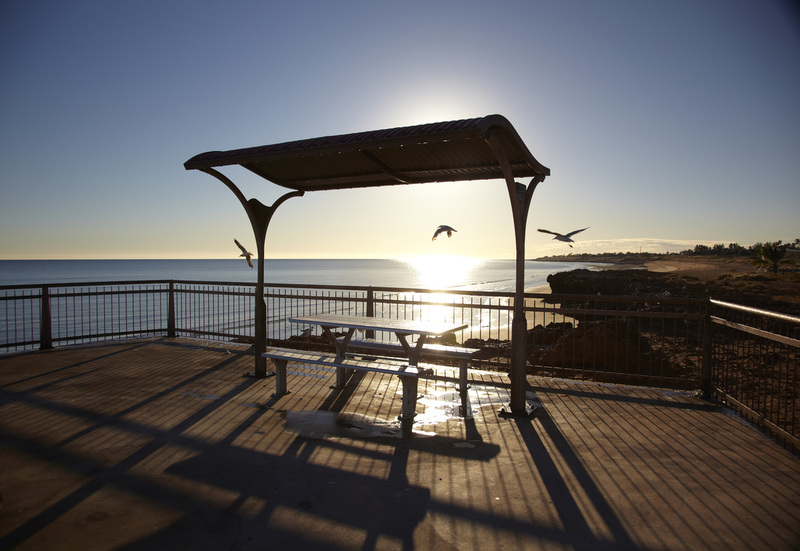 Sunset over the ocean at the Port Hedland Community Park. 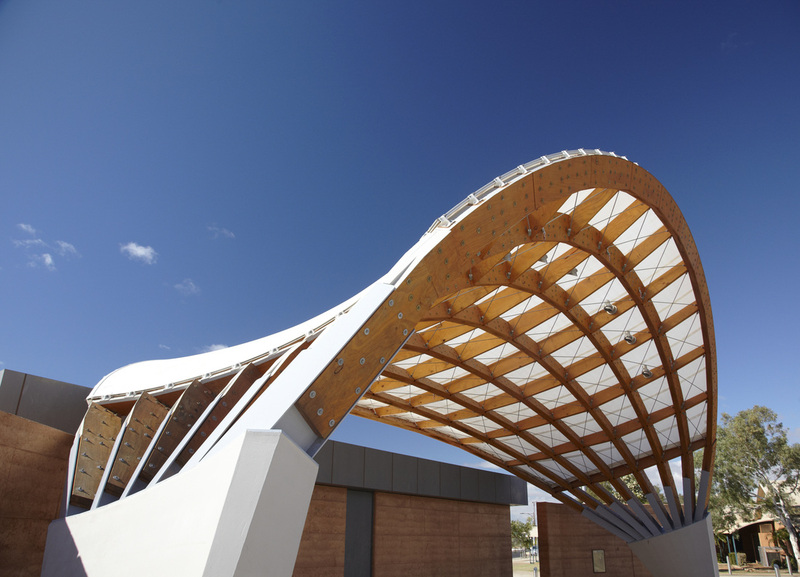 The South Hedland Town Square Performance Shell. 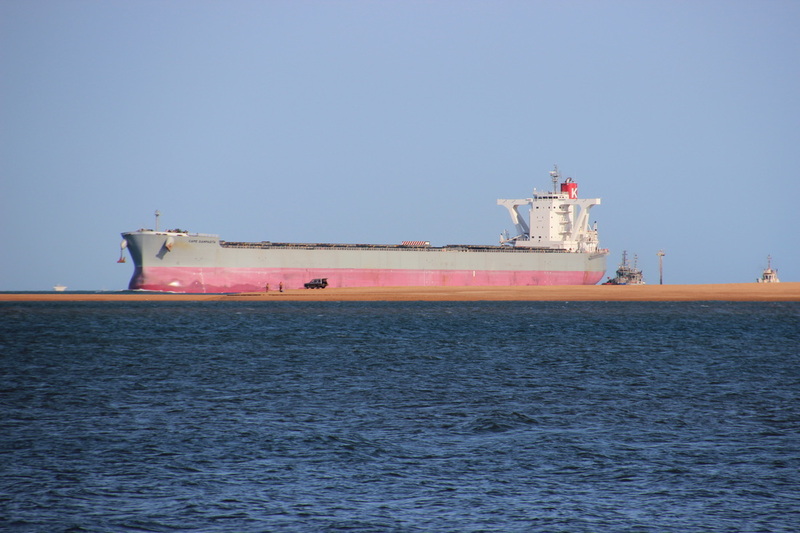 Large ore ships wait off the coast of Port Hedland. 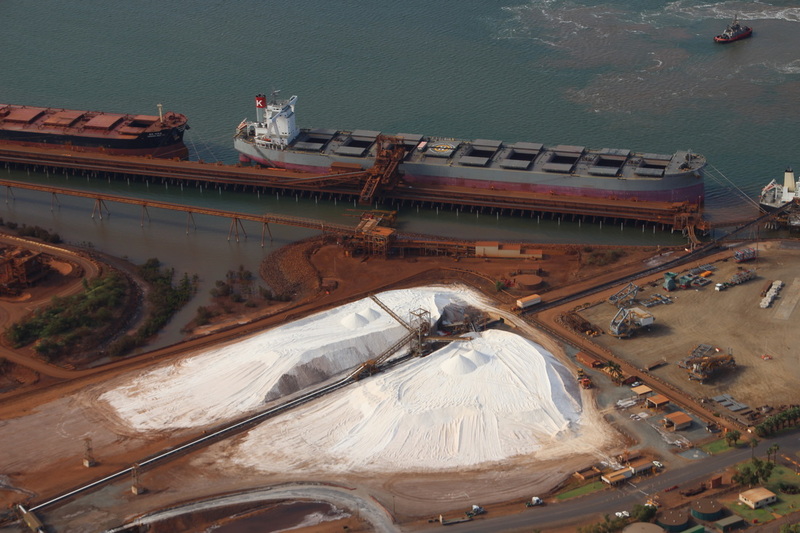 Port Hedland is the largest tonnage port in Australia despite its remote location in the northwestern part of the country. 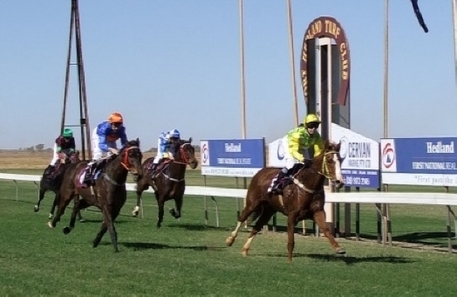 Here are a few handy links to help you enjoy Port Hedland. 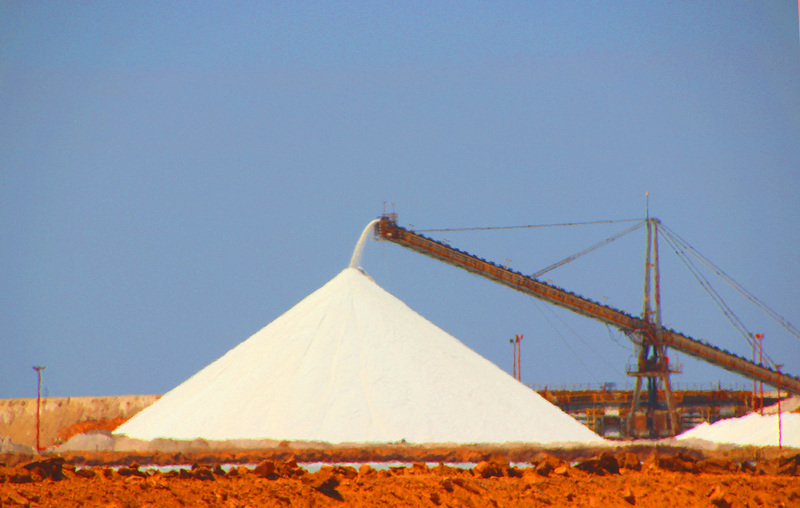 The Town of Port Hedland - Link to the local government site, with lots of great information about the local area. The Port Hedland Visitors Centre - Plenty of great tips on getting around and seeing the Town! Warlu Way - Follows the path of the Warlu, or Dreamtime sea serpent, as it traverses North West Australia and the Pilbara and Kimberley regions of Western Australia. Great site with heaps of ideas for touring the North West. Caravanning, Camping & Motorhoming in Western Australia - Lots of great info about Caravanning and Camping your way around WA. 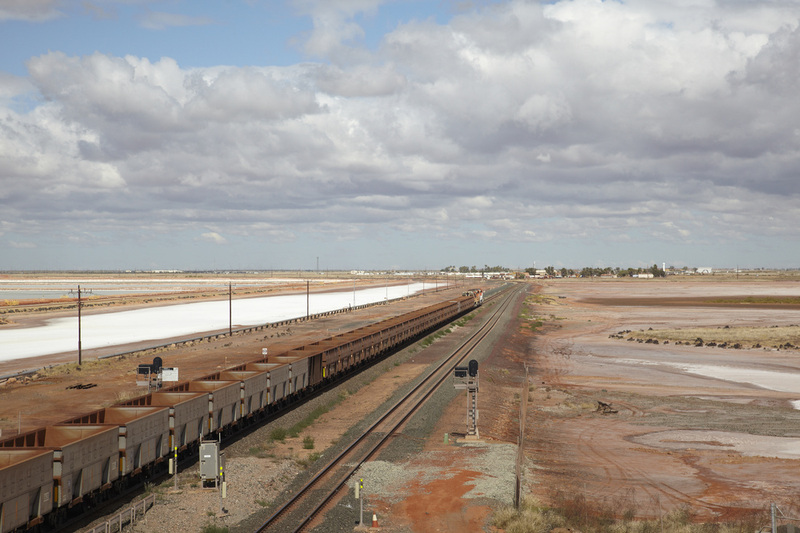 Australia's North West - The Port Tourist Park are proud members of Australia's North West, and proud to promote tourism in the Pilbara. Visit their website for access to the best of the best of Northern Australia. 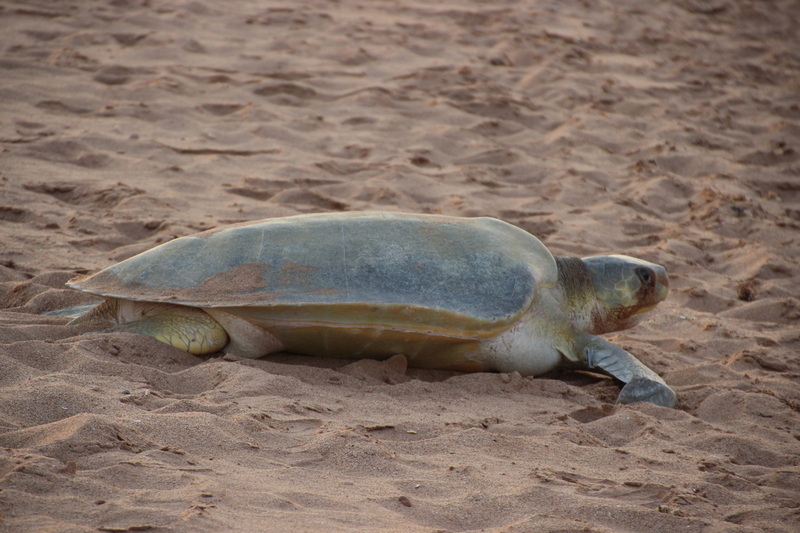 Flatback turtle female, coming to lay her eggs on the beach at Port Hedland. From October to March Hedland's beaches become home to hundreds of Flatback Turtles (Natator depressus) as they nest and their younglings hatch. You can view the turtles or sign up to monitor their movements through the Care for Hedland Environmental Association. Flatback sea turtles nest only on Australian beaches and they have the shortest migratory range of all sea turtles. 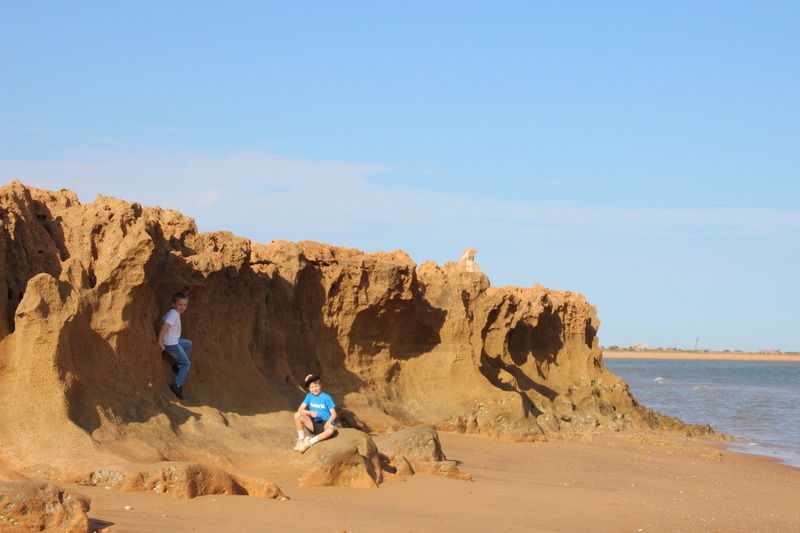 Sandstone formations near Port Hedland Community Park and turtle beach. There are four stages of alerts- blue, yellow, red and all clear. Listen carefuly and do what the alerts say to help keep safe. 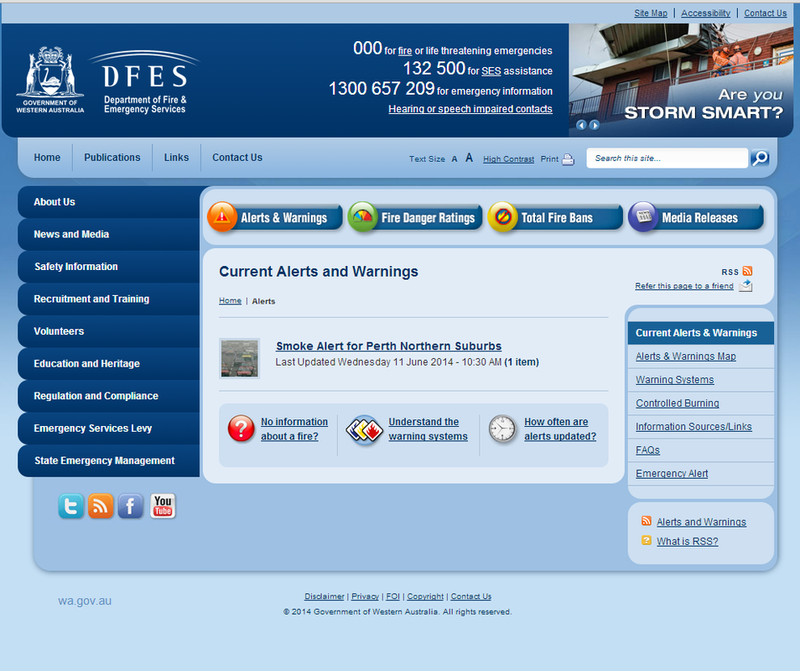 Cyclone Information packs can be obtained from the Council Offices, Visitors Centre, DFES District Office & SES unit. Make sure you have a copy of your community Cyclone Plan. Tidy and remove loose building material and rubbish around your home. Make sure you have a battery operated radio, torch and extra batteries. Keep listening to your portable radio and watching TV for cyclone updates. Have enough food for your family, water and your medicine box and first aid kits. Know the strongest part of your house.Start thinking about when to send people on dialysis, pregnant women, elderly and other sick people to a larger town. Identify a team of people in the community to assess any damage to the community after the cyclone. Tie down large items around your house and community. Get your family together to sit out the cyclone. Make sure you have cash to last you a few days. Keep listening to your portable radio and watching TV for cyclone updates. Stay inside in the strongest park of your home during the cyclone. Keep a battery operated torch and a portable radio if your power is out. After the official All Clear notice, take care to avoid dangers caused by damage. Stay inside your home until you get advice from DFES or Police that is clear to go outside. Wear proper shoes and safety gear. Check on your family and neighbours. 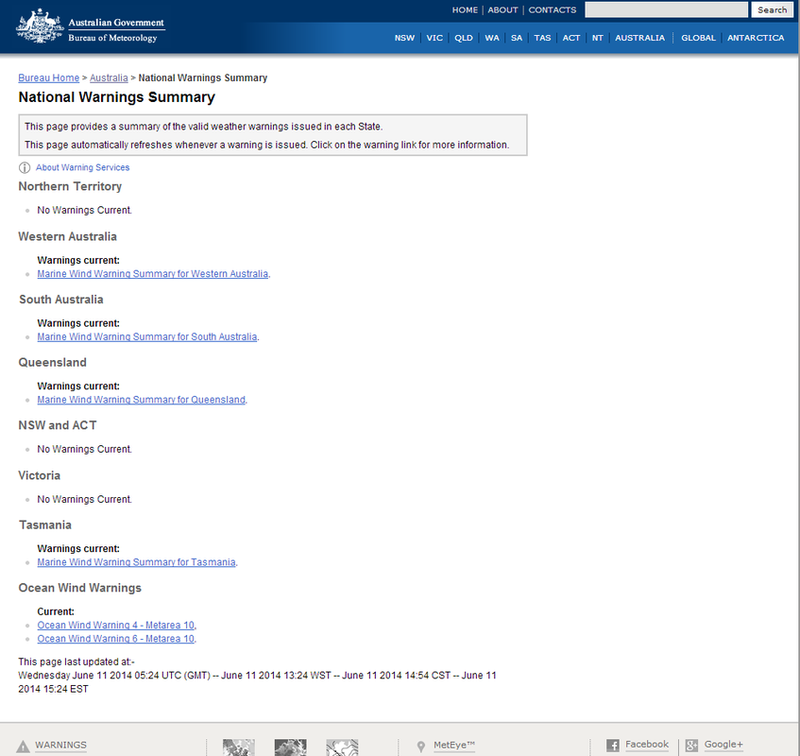 Report damage, injuries and dangerous situations to the Police or DFES.